Laser technology has revolutionized processes in various fields of medicine and is now poised to change the future of dentistry as well. We pride ourselves in constantly remaining abreast of the latest technologies so that we can offer you our best dental services. 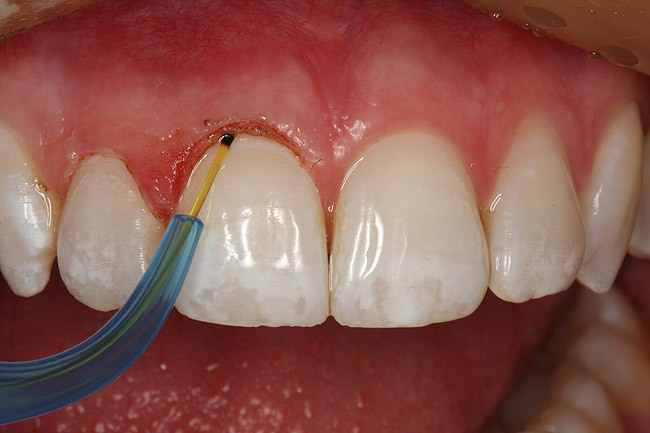 The use of lasers is a truly revolutionary step ahead for dentistry. We bring the latest and most cutting edge technology to you, for your comfort and convenience. Laser is an acronym for "Light Amplification by Stimulated Emission of Radiation". It is a device that creates and amplifies a narrow, intense beam of light.When laser comes in contact with dental tissue, it causes a reaction. The light produced by the laser can be used in a plethora of dental procedures. HOW IS A LASER USED FOR DENTAL TREATMENT? HOW DO I KNOW IF I AM A SUITABLE CANDIDATE FOR LASER? Upon clinical evaluation by your dentist, you can ascertain whether you can undergo laser treatment.